Free shipping over S$250.00 purchase. Shipping fee is free when purchasing above S$250.00 in a cart. Highly Recommend Delivery was fast and item received was in gd condition. Delivery was fast and item received was in gd condition. Easy to use but quite tiring to press and hold the micro touch switch and vacuum at the same time. repeated order. worth with what paid for. Item well received. Tried, suction is good, but very noisy. I'm fine with it though as long as it works well. Can't tell if the UV lights really works as described though. Overall, great purchase. Received within 2 weeks. Well packaged in a box! Working very well, suction is strong. Thanks seller! Great item for such a price! Used it 3x already and the suctioning is quite powerful. The size also made this vacuum cleaner very convenient. May I know if you sell the spare parts of Deerma DX115C for its body plastic container to contain vaccummed rubbish? Thanks. Oh, so meaning you sell this spare parts but out of stock? May I know when it will arrive? Hi Dear, Power plug, our model is roborock international model for S.E.A, E.U and America. It's two pin type following the most strict E.U safety standard. You will need adaptor. Thanks Dear. DX700 is no more supplied. Then the model 115, can kill dust mite ? Got uv light ? Same function as cm300 ? CM300 is specially designed for bedtime cleaning. Hi, do u sell dx115c parts separately? Thanks for the photo information. We will check with our warehouse staff. Our online shop manager will create the spare parts for our customer to purchase. 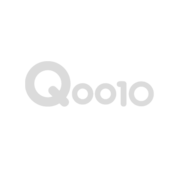 It will be processed and approved by Qoo10 within 2-3 days. The material is under preparing right now. When will yo restock DX700? The DX700 is under planing right now. The Filter is water washable and can be re-used. We recommend to change the filter every 6-10 months for effective and deep filtetration and pufirfication. Hi seller, noted. Thanks for your info and explanation. Thanks you for the inquiry. Can this be delivered on Saturday? We are sorry that the shipping team if off duty on Sunday. Please don't worry, they will call you or message you to schedule the delivery time. Is dx115c wireless? And can it vacuum dust mite? The DX115C is powered by cable. Please consider CM300 for bedmites cleaning.